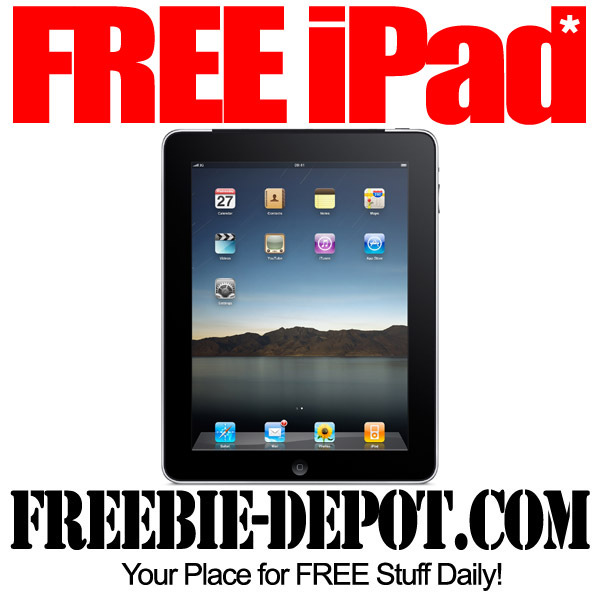 Welcome to the FREE May iPad/Surface Giveaway! An awesome group of bloggers have teamed up to bring you this equally awesome giveaway for a FREE iPad (RV: $499) or a FREE Microsoft Surface Tablet (RV: $499)! Winner’s choice! 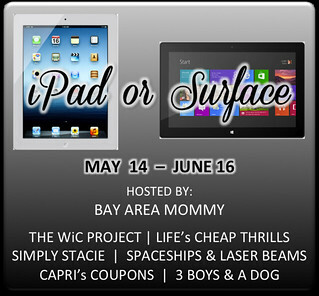 Hosted by Bay Area Mommy, The WiC Project, Life’s Cheap Thrills, Simply Stacie, Spaceships and Laser Beams, Capri’s Coupons, Freebie Depot and 3 Boys and a Dog. This giveaway starts on May 15, 2013 at 12:01am EST and ends on June 16, 2013 at 11:59pm EST. Open worldwide. Must be 18 years or older. Winner may opt for the cash equivalent if not in the US or Canada. To enter, use the Rafflecopter form below. Good luck! Disclaimer: No compensation was received for this post. This blog is not responsible for prize fulfillment. For questions regarding this giveaway, please email Bay Area Mommy at isis@bayareamommy.net. Thank you so much for this giveaway! My daughters are dying for our family to have an iPad. I would love to be not stuck up against a wall anymore. I would be free to go anywhere with this. That would free up a lot of time too. 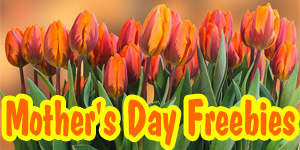 Information on free laptop computer, IPad, netbook,and Tablets. for free. 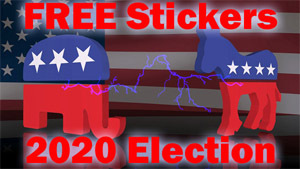 Thank you for running this website – I love free stuff and this is a lot easier to navigate then the blogs I was looking at before. Thanks for all the hard work you put into keeping this site up and running! This giveaway is awesome. Thank you! I love the variety of freebies you have on this site. I have gotten a few! 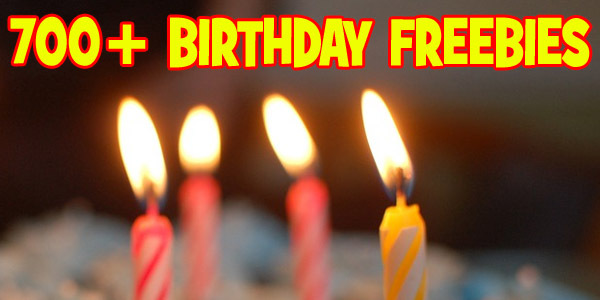 Who doesn’t love freebies? Thanks for the giveaway! Been joining a lot of giveaways. I hope this time, I’ll get this! Thanksss! I’d very much love to win. This giveaway shows how much efforts had been put to develop the blog and make fans (in which I’m one of them) throughout the world. Keep working hard like this and one day will come when this blog will be called as the bestest blog.